Since 1992, Atlantis School of Swim has produced thousands of confident swimmers in the Oakville, Burlington, Dundas, Hamilton, Ancaster, Stoney Creek, Waterdown, Milton & Mississauga areas! Our high quality instruction with proven teaching methods, low-ratio classes and experienced staff, have earned us an excellent reputation in the learn-to-swim and competitive swim world. We are a family owned and family oriented swim school. Our staff are a diverse group of individuals who love kids and have a passion for swimming! Most of our employees are part-time and when they are not enjoying their work at Atlantis School of Swim, they are furthering their education, working as teachers, healthcare workers, early childhood educators, national level coaches or taking care of their own families at home. This diversity rounds out our school, as we bring lots of experience to our classes. 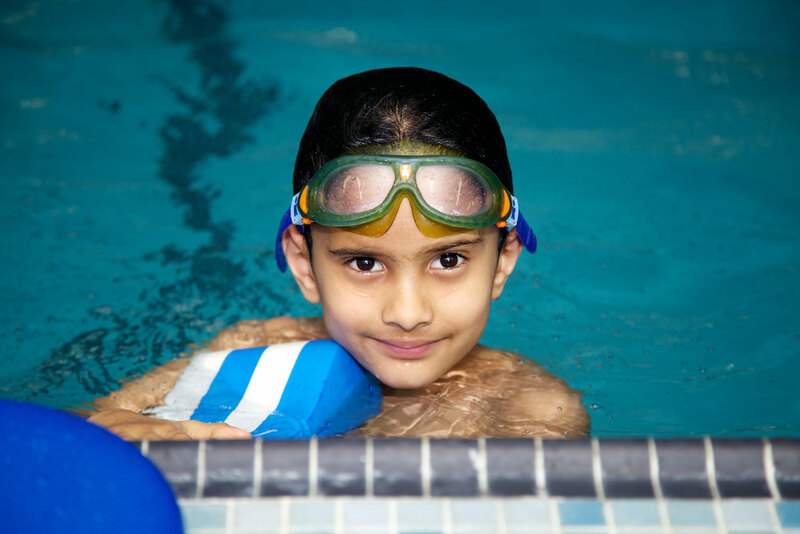 A Year-Round Approach to swimming is encouraged at Atlantis School of Swim. Swimming a few weeks during the summer each year is expecting a lot. Younger swimmers or swimmers dealing with a fear of the water need time, consistency and repetition to develop a solid foundation of swimming skills. This takes time and practice. Most of our clients swim once or twice a week year-round. This consistent and relaxed exposure to the water is key and allows swimmers to better retain skills gained. Learning a life skill like swimming takes time and even the best swimmers in the world practice regularly. The Atlantis School of Swim Inc. was established by Program Director, Julyana Colangelo in 1992. After graduating from McMaster University with a degree in Kinesiology, Julyana worked in the Healthcare Industry, while also expanding Atlantis from a seasonal summer business to a year round operation, with multiple locations. By 2011, Julyana retired from Healthcare, to further grow Atlantis, while also raising her own 2 children. Julyana brings over 25 years of instructional swim and coaching experience to the company, with additonal expertise in Kinesiology and Biomechanics. Program Manager, Amanda Blake, has been working at Atlantis School of Swim Inc. for over 10 years. After graduating from the University of Windsor and St. Clair College, with her teaching degree and diploma in Early Childhood Education, Amanda has brought her years of experience in competitive swimming and working with young children back to the company. Program Supervisor, Rebecca Ahlin, has been with Atlantis School of Swim Inc. for over 8 years. She graduated from Wilfred Laurier University, with a Bachelor of Science Degree, specializing in Health Sciences and also has a teaching degree. Rebecca loves working with children and has a passion for teaching. She holds nationally recognized swim qualifications and is also an NCCP Skate Canada coach. Our team consists of dedicated and experienced Instructors, holding nationally recognized qualifications. All Instructors have undergone 8 or more weeks of training with Atlantis School of Swim Inc., in addition to the standard provincial course requirements. We want to ensure you are getting highly qualified and experienced Instructors that will help you you become a confident swimmer!